I’m so incredibly excited all of a sudden! Christmas is just around the corner and I have a fridge jam packed with Christmas goodies that I just can’t wait to start cooking and eating. I’ll admit it now: I’m gluttonous and I’m indulgent and, let’s face it, nothing brings out these rather wonderful qualities more than Christmas! Yesterday afternoon while I stayed at home wrapping presents Rob braved the supermarket armed with a long list I’d typed out. He came back with bags of food and I immediately felt the excitement of Christmas descend as we unpacked them. 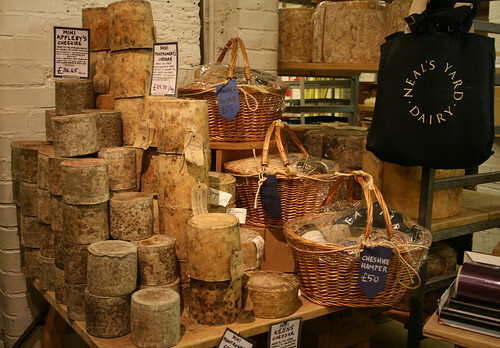 There were only a few things left to buy after that mammoth shop such as the booze, which Rob bought this afternoon and the cheese, which I made up my mind I would buy at Neil’s Yard Dairy at Borough Market when I was there with a colleague the other day. It was the first time I’d been to the shop and I was very impressed. 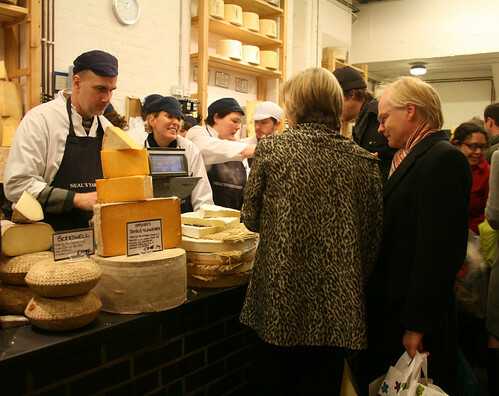 My colleague was buying a selection of cheese for a friend’s dinner party and was given a friendly and personalised service to help him choose – and we got to taste some fabulous cheeses along the way. For my Christmas cheese board I chose Stichelton, Waterloo and Isle of Mull Cheddar (you can view information about all of these here). Being a British cheese shop Neil’s Yard doesn’t stock Brie, which I do love, so I bought a piece of that elsewhere to add to the selection. 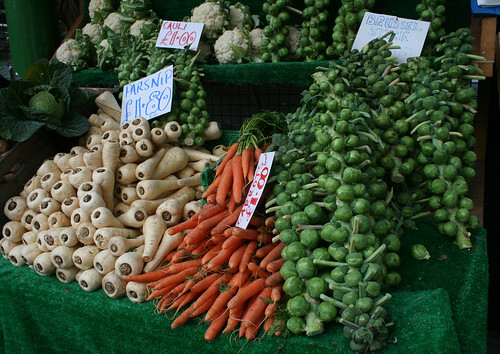 Borough market was open today and I managed to pick up a stem of brussels sprouts while I wandered through, enjoying the very Christmassy atmosphere and taking in the sights of plump turkeys and hanging geese. It looked and felt a little like I’d stepped into ‘A Christmas Carol’ which I’ve been reading on my way to and from work. Certainly I’m full of Christmas spirit now! You are so lucky Rob went out and did the bulk for you!! I did a bulk shop both Friday night and Saturday morning amd had to pop back yesterday for the peas I had forgotten oops! 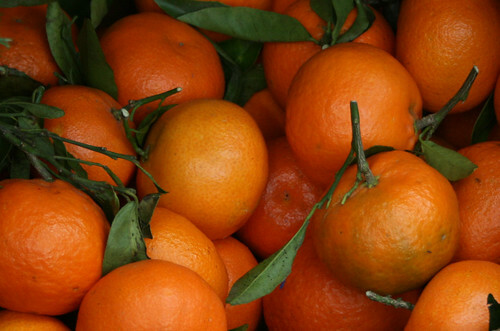 At least the wander around the market was probably more exciting than the aisles of Tesco’s! I love Stichelton, it’s one of my favourites. Nice seasonal post and some lovely photographs! Have a very merry Christmas and peaceful New Year. Anne – if the truth be known I’m banned from food shopping with Rob as I spend twice as much time browsing (where as Rob would rather go in and out as quickly as possible) and twice as much money! I was in Neils’ Yard for 45 minutes on Saturday tasting the cheese! 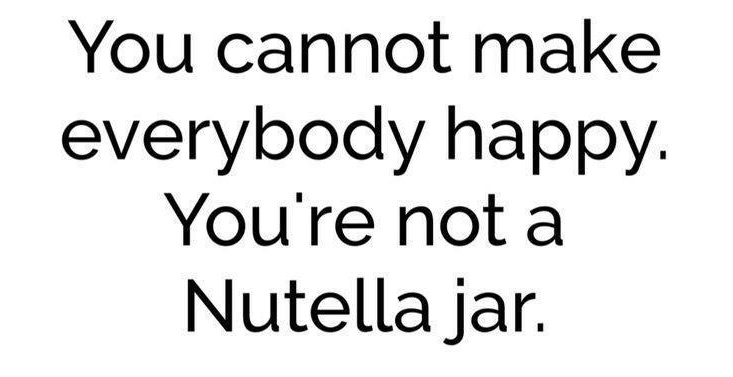 Easily done, I think you’ll agree. I bought Stichelton, a goat cheese which I can’t remember the name of right now and some stinking bishop – yum! 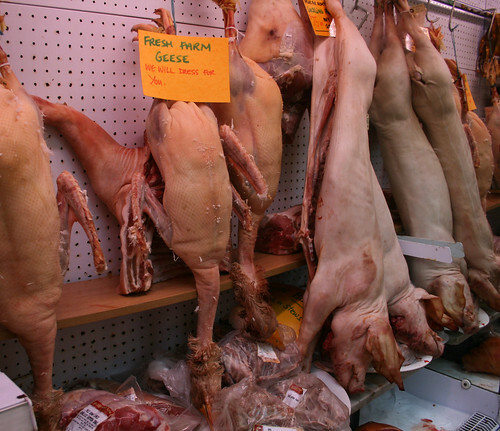 This is your “other Rob” in PEI Canada – Goose? We have one for the new Year – any advice for Goose Virgins? 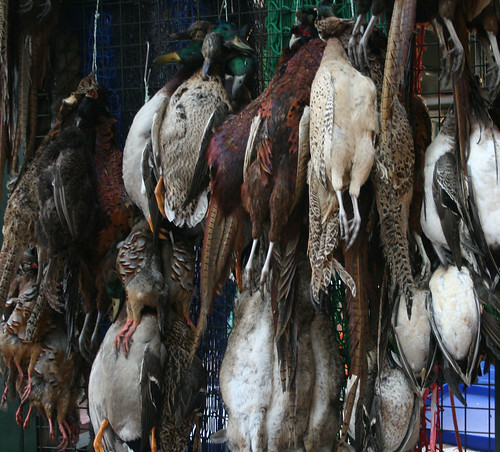 Was going down the Duck route – lots of piecing – fat draining and high temp?? I was brought up in Stilton Cheese country and the only one to pass my lips – ever – is Colston Bassett. No cheeseboard for me would be complete without this. 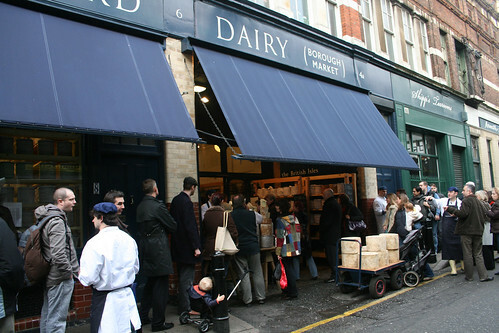 Whenever I visit London, Neal’s Yard Dairy is a must. Helen – easily done indeed! 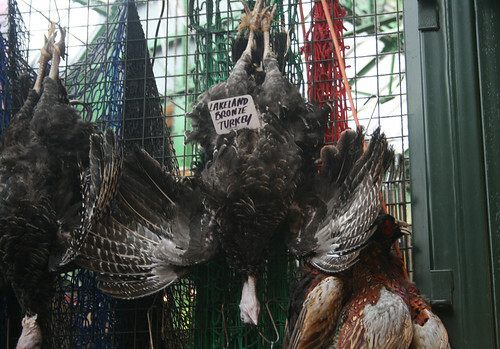 Hi Rob – well I also have a goose for new year and it will be the first one I’ve ever cooked! I reckon you’re spot on with the high temperature and fat draining. Are you roasting potatoes in all that yummy fat? You must! Margaret – I’ve not tried that, I’ll have to look out for it. 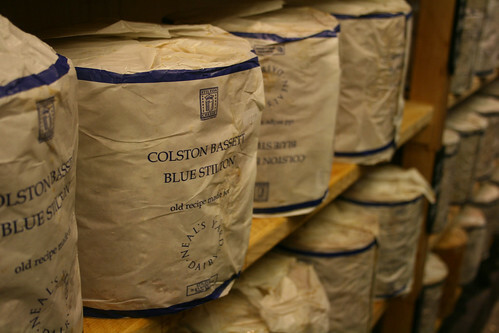 Hi Julia – the Colston Bassett Blue Stilton is in one of your photographs!!! Doh, I must have been half asleep when I wrote that Margaret! Lol. Well I have been converted Goose for us next New Year, all going well. I love it at your blog.